Ecosystems when faced by disturbances whether naturally or human-induced work towards recovery – this is a show of ecological resilience. The ease with which a particular ecosystem regains its previous or improved status is a measure of this resilience. Where perturbation is of high magnitude, recovery takes place slowly and over a relatively longer period. It is in such a case that human intervention may be needed to aid in recovery. Kivaa Hill in Machakos County, Eastern Kenya, has over the last four decades been degraded by surrounding community members through extraction of timber, fuelwood and medicinal herbs as well as overgrazing. 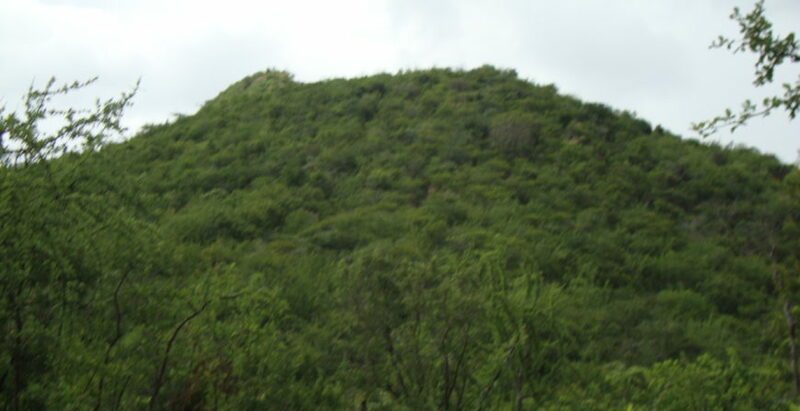 In 2008, the community members approached the Institute for Culture and Ecology to forge joint efforts towards supporting restoration of Kivaa Hill’s ecological integrity. A group of elders came together after the community started partnering with ICE and laid down strategies to employ in aiding restoration of Kivaa Hill, which the community had come to appreciate as a critical watershed. Led by their leader, Mzee (Elder) Munguti Kavivya, the elders mobilized Kivaa community towards reforestation of the hill and also lobbied to have grazing on it banned by the local administrators. Munguti Kavivya and Kivaa Hill are intricately bound together as revealed by a recent visit to the area. After a short briefing at the foothill, Mzee Kavivya strode off up the hill while we followed trying to keep pace with this nonagenarian who was accompanied by a battery of other local elders. A few metres up the hill, Mzee Kavivya stops at a spot which he calls the ‘gate’. He selected plants for us to hold as a sign of peace and warm welcome and then ushered us to some stones to sit on as he readied himself to answer any questions. We were not far from the Ithembo, the sacred site on Kivaa Hill. We asked Mzee Kavivya to tell us his story of Kivaa Hill. He began by saying that before 1949 there was virtually no-one living in Kivaa area. There was abundant wild life and hunters would pass through from time to time. In 1949 his father brought his family to settle in the area. They were among the first settlers. He narrated that in the next three decades many more people continued streaming into the area, some of them seeking jobs at the Seven Folks Hydro-electric power stations being established at that time along River Tana, Kenya’s largest river. 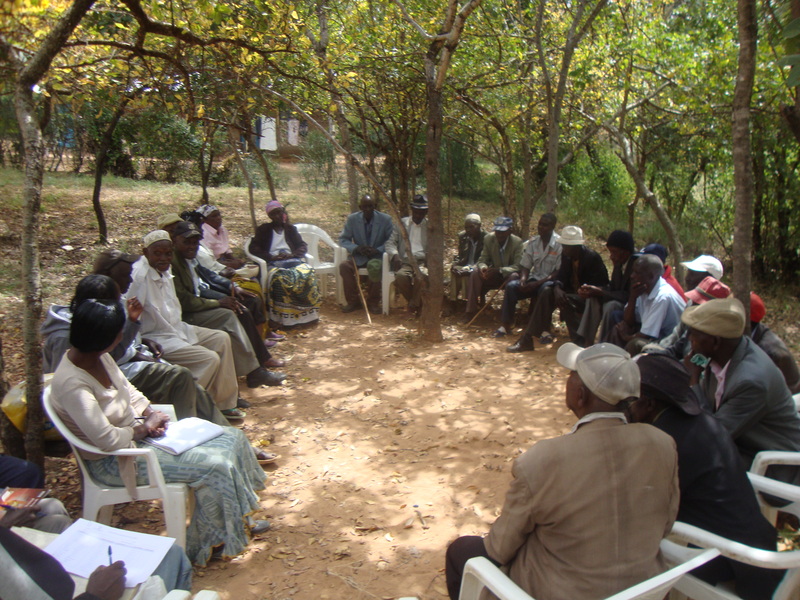 The elders who moved to Kivaa brought with them their Kamba traditions. They earmarked Kivaa Hill as a Sacred site and carried out the first sacrificial ritual there in 1964 to cleanse the hill for onward ceremonies owing to the degradation that the hill had suffered. Elders in Kivaa carried out more rituals in the subsequent years up to 1975. During all this time Mzee Kavivya operated like a lone ranger as custodian of Kivaa Hill sacred site. He started the process of mobilizing other elders and these started engaging in dialogues on how to protect and conserve the Hill. They also brought along younger people in what they called intergenerational dialogues. These dialogues culminated in development of eco-cultural calendars and maps as tools to guide in ecological reconstruction which was done in partnership with ICE and with support from the African Biodiversity Network(ABN) among other partners. “Today Kivaa Hill has its owners and is able to protect itself’’ Mzee Kavivya proudly testifies. 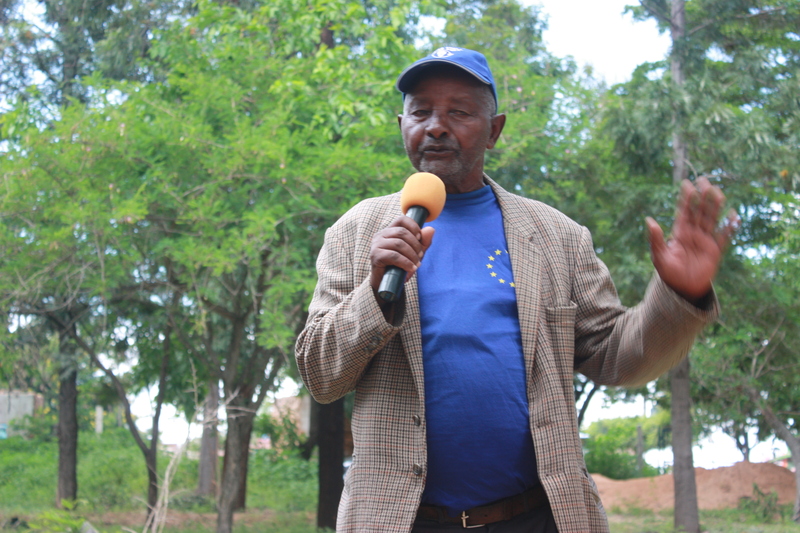 Mzee Kavivya reiterated that the Hill is now respected and cases of illegal grazing and extraction of materials is minimal. He commends the local chief for the support he gives the elders whenever they arrest illegal grazers. He also appreciates the support from ICE. “If you take your goat or cow there be ready for the consequences’’ Mzee Kavivya declares. Each goat apprehended on the hill attracts a fine of Ksh.500 and Kshs. 1,000 for cows. Today Kivaa Hill is now providing ecosystem services like there before, courtesy of a recent research done by ICE in partnership with selected local community members. Kivaa hill’s hydrologic potential has been restored and streams now flow from the hill traversing the neighbourhoods providing water to the local residents. “Let’s avoid conflict while fetching water as the Owner of this water might be offended and stop it, instead let’s respect the hill where this water comes from”. Mzee Kavivya concludes.